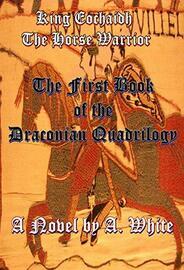 Queen Alyth Erin finds her kingdom in a struggle for survival with the strongest British king since Roman occupation. She and her allies are in desperate need for help. She came to power by chance and circumstances beyond her control. The throne, nor power was something she sought. The men of the family losing their lives against the English threw her into unexpected leadership. Grief took her mother who was the rightful queen, leaving her the last of her grandfather's lineage. Her mother had taught her well. How to be a queen. To save her kingdom she must seek the aid of a man she has only heard of through legends of her people. Her mother's people, the Irish claimed he would aid them whenever needed. But her father was said to have known the strange man, personally. He had told her many things about him. Of course, she knew not to believe the fables her Scottish father often told to entertain her and her brother. What she encounters in the small former Roman village where her father is hailed from changes her life forever.